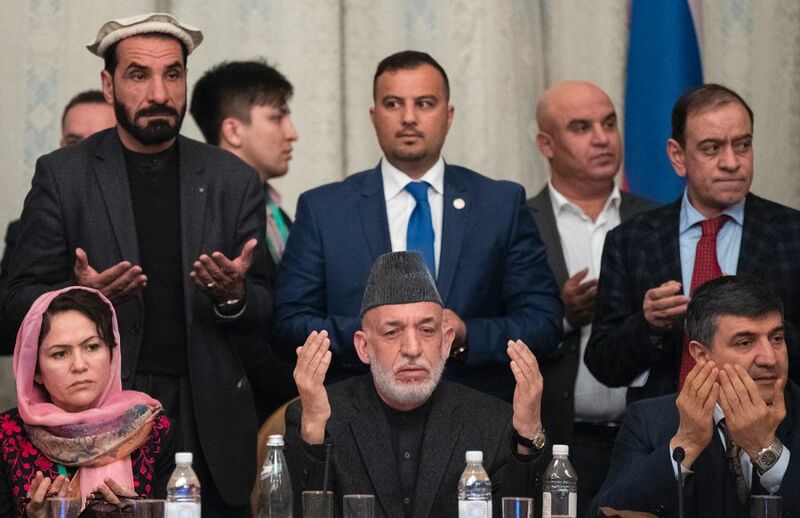 Moscow two-day peace meeting taken part by Taliban delegates and a number of Afghan political party leaders and some of the country’s politicians ended with nine-points declaration, among them calling for complete withdrawal of foreign forces from Afghanistan. No official from the government of the Islamic Republic of Afghanistan, has attended the meeting. The agendas discussed and agreed at the meeting, were protection of social, economic, political and educational rights of women and freedom of speech in line with the Islamic principles and efforts to attract international assistance for the reconstruction of Afghanistan’s infrastructures. Part of effort to promote an intra-Afghan dialogue to find a political settlement to the ongoing conflict in the country, the meeting outlined a nine-point declaration, with the two sides unanimously agreeing to soon hold the next round of talks in Qatar, where the militants have political office. Bringing systematic reforms in all national institutions, including security sector, after signing peace deal, necessity of the regional and the major countries cooperation to determine a lasting and inclusive peace in Afghanistan, were the issues agreed on in the meeting. According to reports, respecting the Islamic principles all over the system, being Afghanistan a home to all Afghans, supporting central government with all ethnicities having a role, protecting national sovereignty, promoting social justice, remaining Afghanistan neutral in all regional and international conflicts, protecting the country’s national and religious values as well as undertaking a unified and single policy, were among the topics agreed on in the meeting. Afghanistan shouldn’t be interfered by other countries and the international community was assured that the country would never be used against other world nations, the meeting resolved. Taliban’s inmates release from prisons, removal of Taliban leaders from the UN blacklist and opening a political office in Qatar aimed at acceleration of peace talk, have also been discussed and agreed on by the two sides of the meeting. Disapproval of the country’s national security forces, from a remark allegedly made by Taliban head of peace delegation was rejected, during a briefing at the end of the meeting. But, what is surprising is that, all these conditions on which the two sides agreed on, in the Moscow peace conference, are issues, the government of the Islamic Republic of Afghanistan has long emphasized on. None of them is disagreed by the government of national unity and even all of the contents were respected and admired. The country’s president has even said he, not only support, but sacrifices his life for peace. The government and the people of Afghanistan are in favor of soon peace restoration in the country, but the Taliban representatives are not ready for a face-to-face talk with the government, which is an elected system and has legitimacy among the people. This should openly be noted that no peace talk would give result and no negotiation would be in the national interests, unless the process was directly led, managed and controlled by the Afghans themselves. This is not only the stance of the government but also the people who have victimized their children for defending the country and they also support their own elected system, by any mean possible.